This is a secured card and is issued with a lien on cardholder's fixed deposit with State Bank of India of Rs. 25,000 or more, SBI said on its website. Like other credit cards the Unnati credit card also offers reward points on purchases. 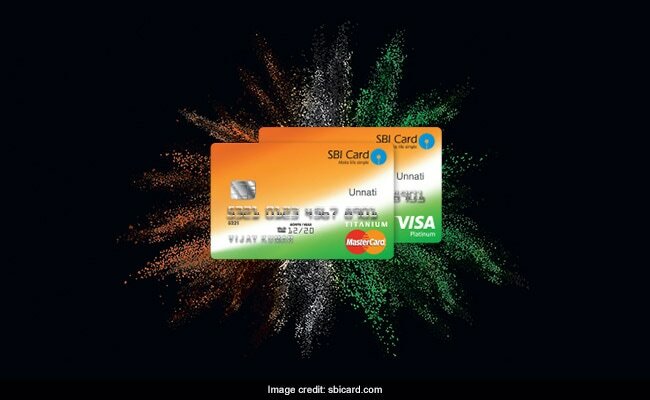 State Bank of India, or SBI, has introduced a new credit card - Unnati Credit Card - which is free (no annual fees) for first four years. Like other credit cards the Unnati credit card also offers reward points on purchases. You will get 1 reward point per Rs 100 spent on the credit card. And can redeem the reward points against a wide array of gifts from its reward catalogue. Other than reward points, this credit card also offers milestone rewards like Rs 500 cash back on spends of Rs 50,000 or more in a year. Unnati credit card is a secured card and is issued with a lien on cardholder's fixed deposit with State Bank of India of Rs. 25,000 or more, SBI said on its website. - From the fifth year onwards, SBI will charges a fee of Rs 499 on this card. -This card also offers flexipay benefits, which means you can pay for your purchases of Rs 2,500 or more in easy installments. Although excessive use of credit cards is never advisable, it could be very handy in case of some situations like medical emergency. Personal finance experts always suggest paying credit card bills in time, failing which could be a very costly affair as credit card companies charge very high interest.